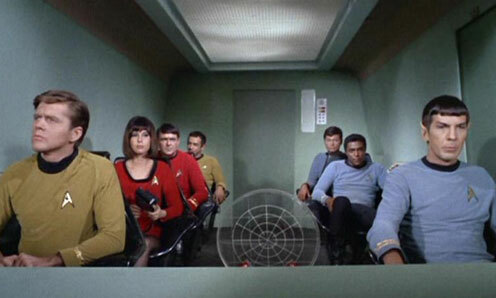 Captain Kirk orders most of his senior staff to fly a tiny shuttle straight into the heart of a quasar-like green cloud. What could possibly go wrong? Scoring on the far low end of the TrekQuesters’ logic score, this episode nevertheless offers one of the original series most (unintentionally) hilarious moments: a giant spear cracking through a styrofoam space rock and glancing off the head of “dead” crewman. Why is a giant spear being chucked at a dead crewman? Because the giant fur-wearing humanoids who live on the planet make giant folsom-pointed spears. And when giant humanoids with giant spears live on planets in the middle of quasar-like clouds, they tend to be grumpy. And these particular humanoids are probably even grumpier than would be normally expected, seeing that their planet is seemingly otherwise devoid of life — which would tend to make the giant humanoids pretty hungry. 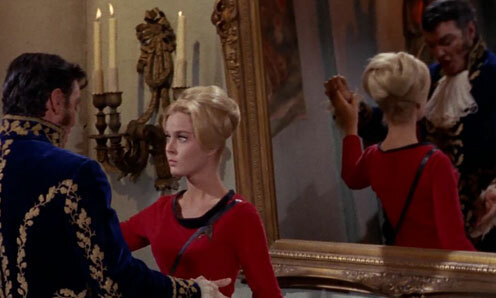 Did I mention this show isn’t very logical? It’s actually kinda funny that the episode that’s most focused on Spock’s dedication to logic surrounds a plot with so many illogical holes. 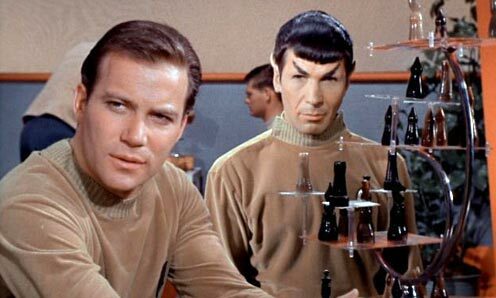 Completely separated from Kirk for the first time, we see that Spock’s insistence on pure logic can really irritate his human colleagues. 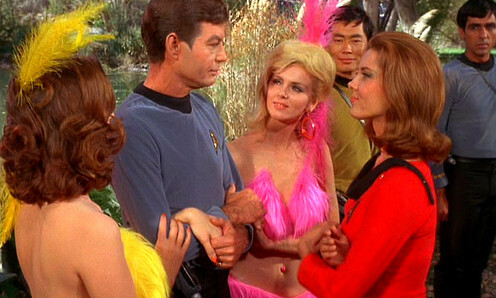 One of the other officers comes darn close to outright mutiny, and you’re left wondering how Kirk would react once he learned the full details of what happened during the Galileo’s little outing. Can you recharge a spaceship with a gun? How long would you have waited for Yoeman Mears? Are you afraid of space giants? Let us know your thoughts in the comments or send us an email at StarTrekQuest@gmail.com.